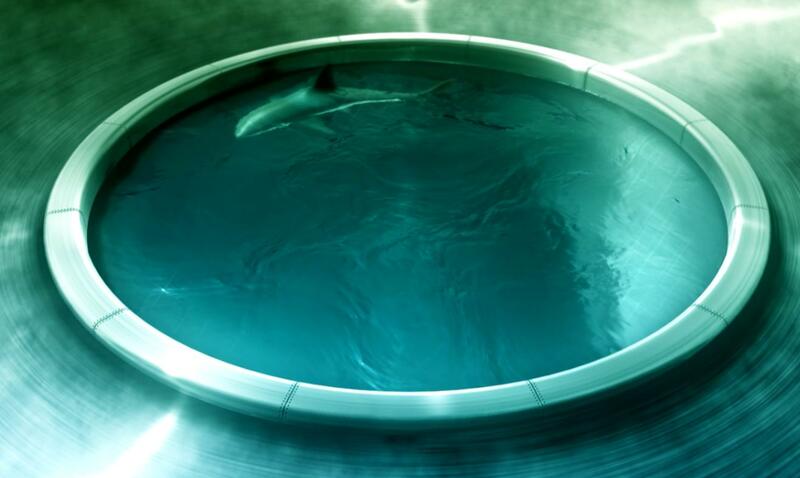 Shark Pit is a large shark circling in a pool of water. Its blue tone goes well with many themes and icons, and is calm enough to keep on the desktop for a long time. This .dream is from Stardock Design and was created by ChaNinja. This is soooo awesome! Great Job!!! I haven't try it yet, but GAME OVER! This will be unbeatable even by its own creator. It is calm enough to keep on the desktop until the end of forever. This is a masterpiece - A true work of art! .. a little bit higher resolution would be perfect! This is by far the best one I've seen to date. Way to go. Seemless loop!! If I had to offer a recommendation to improve for the next version? Have the sharks tail move as he swims. He seems to be moving by jet propulsion. Great! This will probably be on my desktop for quite awhile. whats with the black bars on the sides? Still wonderful - Quality released! I'm boiling the water, I'm gonna eat the shark. try the stretch option in the Vista wallpaper settings. This wall stretches fine. this dream will run for about 30 secs on my system then the screen goes black....i have an overall vista score of 5.9 and every other dream seems to work fine....any suggestions? This one crashes on me. I notice some dreams crash and some don't. Bummer! It is not codec problem. My Vista is clean of any codec and no crash. Try the crop way, the, black bar will be gone. I love the subtle mist around the pool and semi-calm water. Anyway, the only draws back are the shark and resolution. It will be so much better if it is higher resolution without that shark keeps circling around. It is making me dizzy. Back to Ovals. Please make my dream come true.